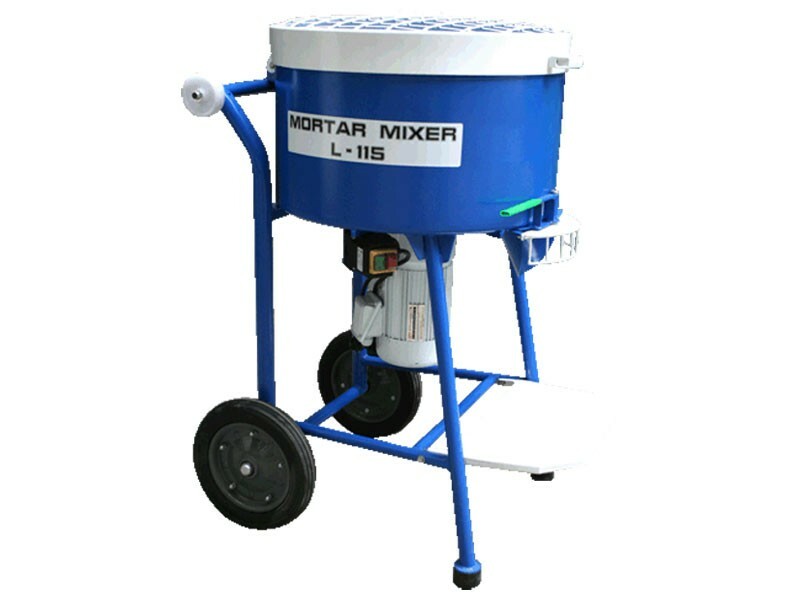 The portable Mortar Mixer L-111 can mix all material from sand and cement through to self-leveling epoxies, achieving a homogeneous mix in 3 to 5 minutes. 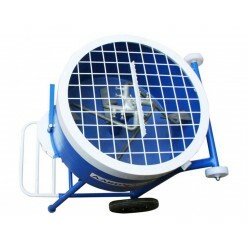 The Mortar Mixer L-111 is designed for easy transport by one person. 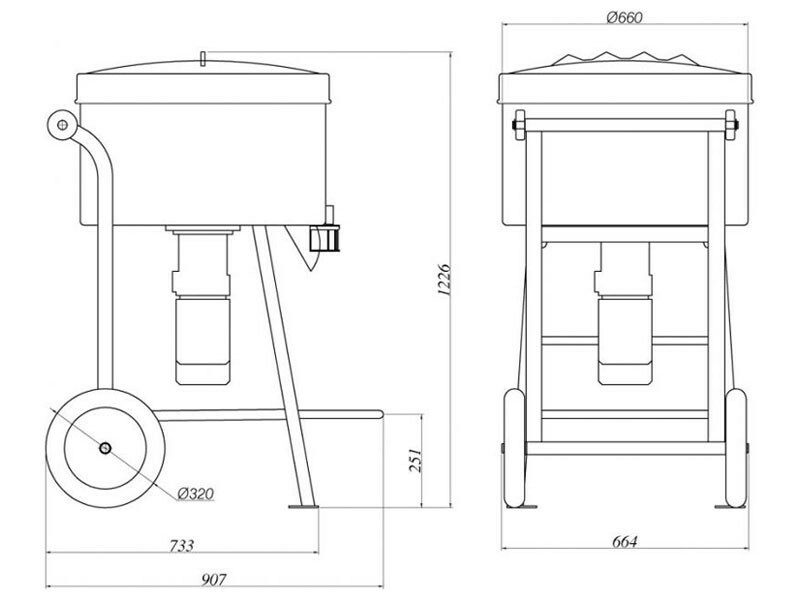 It fits on elevators and passes through standard doors. 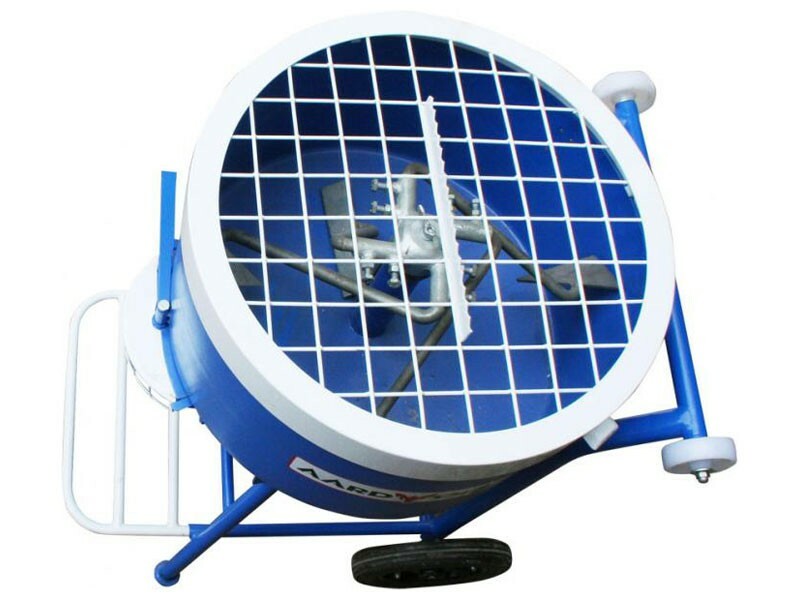 The vertical shaft mixing action does not splash and with the hand operated door, it delivers as little as a handful, a bucket full, or a wheelbarrow of material. 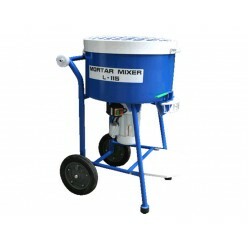 The Mortar Mixer L-111 is quiet enough to operate anywhere. 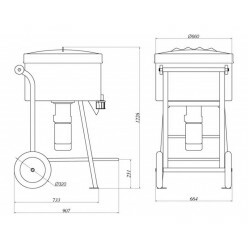 This durable mixer has an all-steel frame and drum and is powered by a high torque 1HP electric gear motor.